On Saturday my coworker and roommate reminded me that there’s a CFI community potluck on Wednesday! It’s like the best day all month, with all sorts of tasty noms for eating and a fun crowd to hang out with. He plans to make pork and vegetarian dumplings, although I can’t believe he’d want to spend so much time pinching so many little dumplings closed. 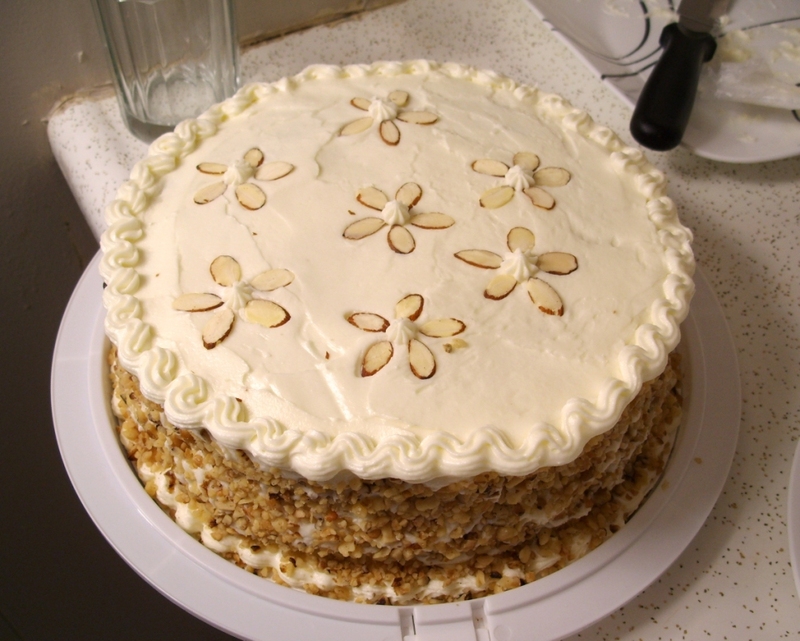 I have little cooking experience (or interest), so I usually bake desserts instead. For some reason, I’m completely willing to spend hours baking—I even enjoy it!—but cooking for more than 20 minutes seems like an unnecessary chore. There were leftover carrots in the fridge from Christmas weekend, so I decided to whip up carrot cake with some tweaks to the recipe. Because I know there are raisin-haters out there, I made one batch with raisins and one without.